HTC announced their latest Android smartphone this morning, the HTC One Mini, which is a shrunken down version of the popular HTC One, and now we have a video of the handset in action. The HTC One Mini is powered by a dual core Qualcomm Snapdragon 400 processor clocked at 1.4GHz, it also comes with 1GB of DDR2 RAM and features 16GB of built in storage. 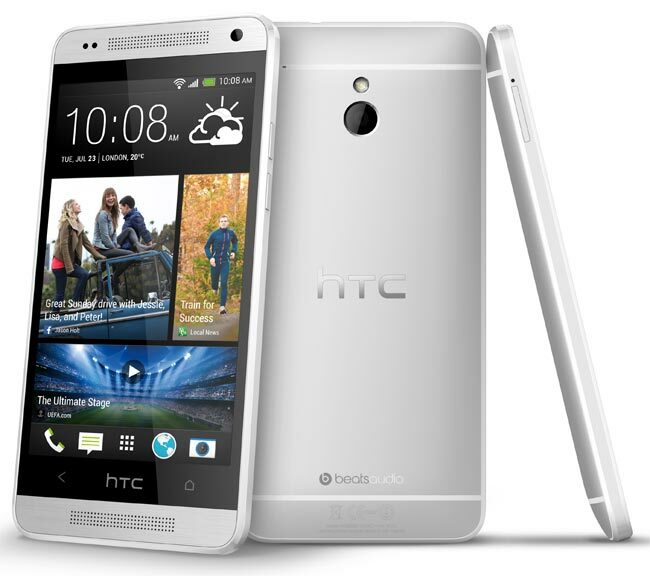 Other specifications on the HTC One Mini include Android 4.2.2 Jelly Bean and HTC Sense, the device also comes with HTC Blinkfeed, a microSIM card slot, 2G, 3G and 4G LTE. The HTC One Mini features dual cameras, up front we have a 1.6 megapixel camera with a BSI sensor for video calls, on the back we have a HTC Ultrapixel camera.